Slides of Cadillacs owned by the artist's father are the "vehicles" of this family history. 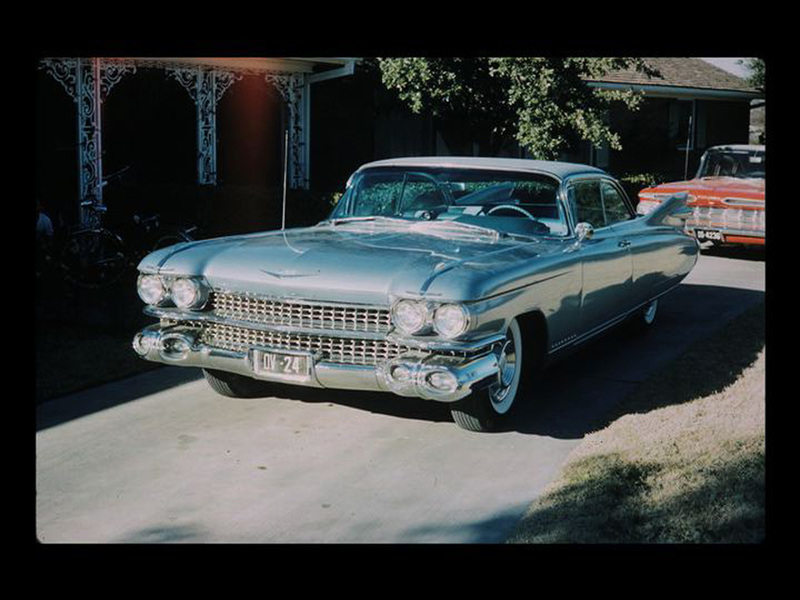 The slides represent twenty-eight years of Cadillac ownership, and each car was lovingly and artfully photographed by Dr. McDonald with his Leica IIIg. The work is narrated by him and by Dorothy McDonald, the artist's mother, and the setting is the family living room. Also present are the artist's two sisters, Suzie and Martha, and Suzie's husband and brother-in-law. Dr. McDonald provides anecdotes about each car and as the slide show progresses through the years the family dynamics become clear. Twenty-Eight Years of Cadillacs was included in the 4th Annual Global Village Documentary Festival in 1978. This remake of the 1978 version, filmed directly from a slide projection screen, features the original audio with digital transfers of Dr. McDonald's Cadillac slides.